BOND CLEANING – is the cleaning process that is required upon the end of lease agreement. The landlord or agent will be holding your bond money that was paid prior to leasing the property and can generally be in the thousands. In order to obtain your rental bond return, you are required to clean the property to the equal standard it was before you moved into it. Our bond cleaning service is professional and covers carpet steam cleaning and tile and grout cleaning. 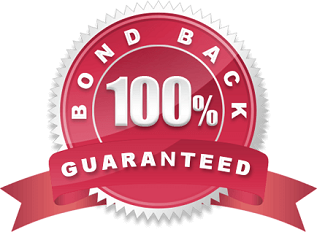 We provide a guarantee that 100% of your bond will be returned. DOMESTIC CLEANING – whether you are looking for someone to help with a once off spring clean or a long term cleaning commitment, our team is licensed, trained and insured to provide you with honest reliable cleaning service. INDUSTRIAL CLEANING -no matter how big or small your job is, we can tackle the dirtiest industrial cleaning job and dispose of waste properly. COMMERCIAL CLEANING – we work with multiple Real Estate companies and businesses in the area and can provide you will quality contract free office cleaning at an affordable price. Businesses in Point Cook are saving money on office cleaning without sacrificing on reliable quality cleaning service. Contact us for office cleaning today! CRIME SCENE / TRUAMA / BIO-HAZARD CLEANING -we have dealt with many challenging clean up jobs and understand the stress related to bio-hazard clean ups. Whether you are a victim of crime and need with the exhausting task of bio-hazard clean up in order to prepare the property for re occupancy or require a helping hand with cleaning up the property after flood damage, we are able to take on the biggest clean up jobs in Point Cook.